Where can I find information about these Chemical Works, I searched in Holywell Road, Colliery Road and Burslem Street but have drawn a blank, the works appear on maps from the 1900's to 1950's. 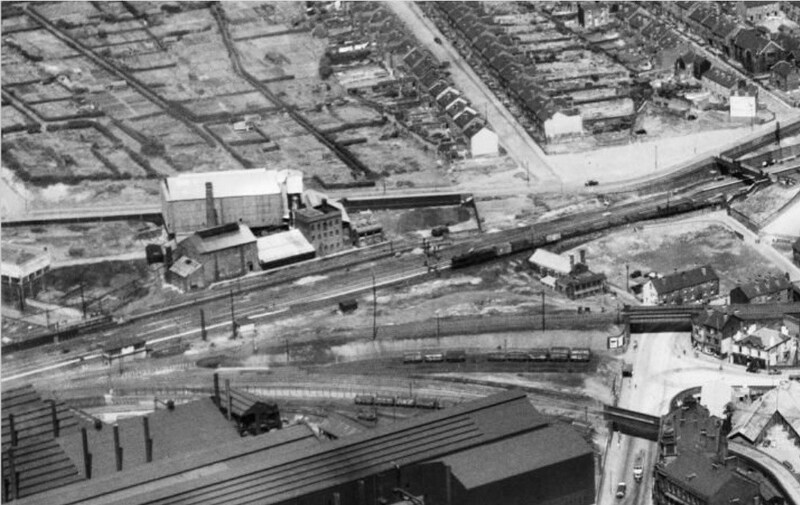 I used to go there a lot trainspotting from about 1953 & have no recollection of any buildings beyond the Gas Works. 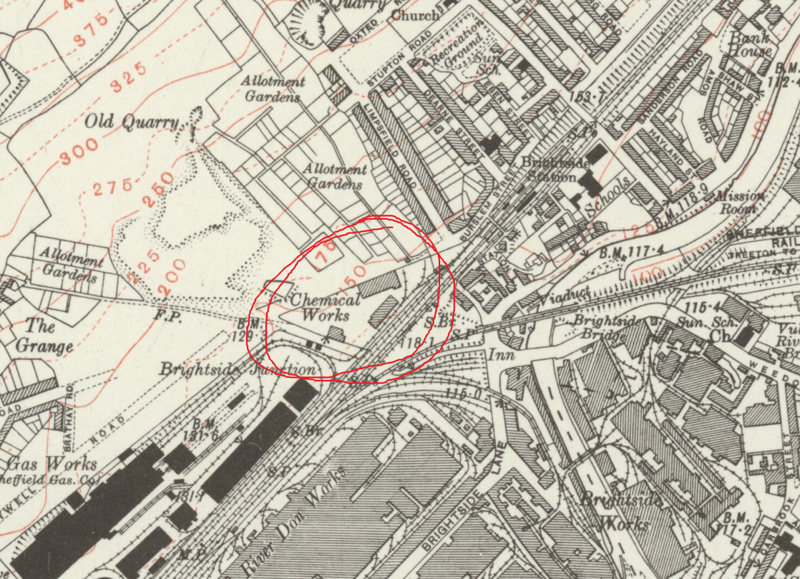 What is shown as Holywell Rd appears to stopsust past the Gas Works but from my earliest memories it carried on right to where Limpsfield Rd meets it. So I think what is shown as Chemical Works must have gone by 1950 or so. The works appear to have been erected around 1883 by the Sheffield United Gas company to deal with the sulphur compounds produced from the gas manufacture. Mr Key was the first manager. Originally the "foul gases" were absorbed by oxide of iron, however in May 1883 Mr Key required the space taken by the iron oxide purifiers for a different purpose. Accordingly the process was changed to one which converted the hydrogen sulphide into sulphuric acid. The new process was a failure and resulted in an overhead crane driver at Vickers being overcome by fumes from the works in November 1883, followed by complaints from the local area about the stench, and debates in the council chamber. The Gas Company reverted to the original process by December 1884 and there do not seem to have been complaints after that. Mr. Key it appears had no expertise in chemical engineering. The works appear to have been erected around 1883 by the Sheffield United Gas company to deal with the sulphur compounds produced from the gas manufacture. Mr Key was the first manager﻿. Originally the "foul gases" were absorbed by oxide of iron, however in May 1883 Mr Key required the space taken by the iron oxide purifiers for a different purpose. Accordingly the process was changed to one which converted the hydrogen sulphide into sulphuric acid. The new process was a failure and resulted in an overhead crane driver at Vickers being overcome﻿ by fumes﻿﻿﻿ from the w﻿orks in November 1883, followed by complaints from the local area about the stench, and debates in the council chamber. The Gas Company reverted to the original process by December 1884 and there do not seem to have been complaints after that. Mr. Key it appears had no expertise in chemical engineering. Very useful, thanks for that. Where did you get the information from? From what I have Brightside Colliery was still being worked there until 1886 so they must have shared the site for a short while.